Broader shoulder, modern-look tank very-long length vets in stretch cotton rich fabric for comfort and shape retention. Binding around neck and armholes. 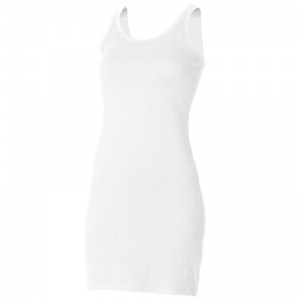 Can be worn either as long length tank or a short dress.